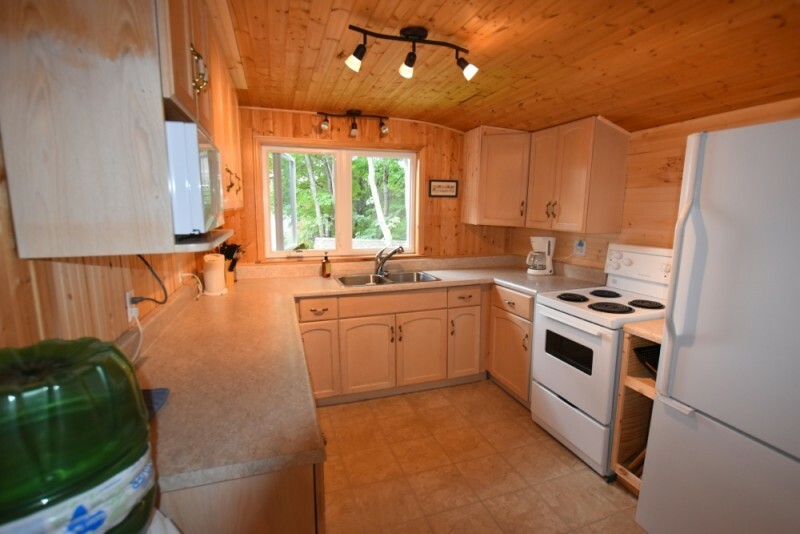 This 3-bedroom cottage on Eagle Lake in South River is your quintessential cottage retreat. 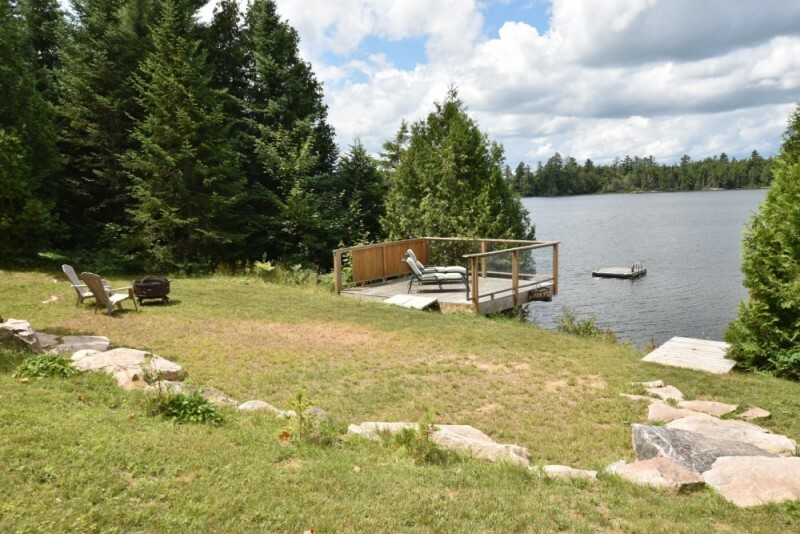 The cottage has almost 1 acre to ensure good privacy and tranquility. 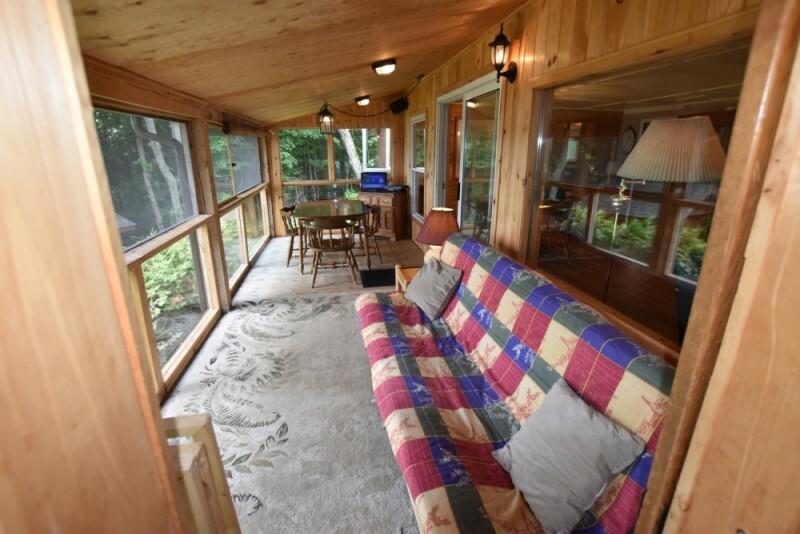 This setting is the perfect spot to get away from everyday living and to enjoy some quiet time with the family or friends. Eagle Lake is 40 miles around and 10 miles long. Great for boating, kayaking, fishing and swimming. The well-equipped bright kitchen has everything required to cook a lovely meal for the whole family or to entertain friends. A Shore Thing’s dining and living room provide a spacious area to spend family time. 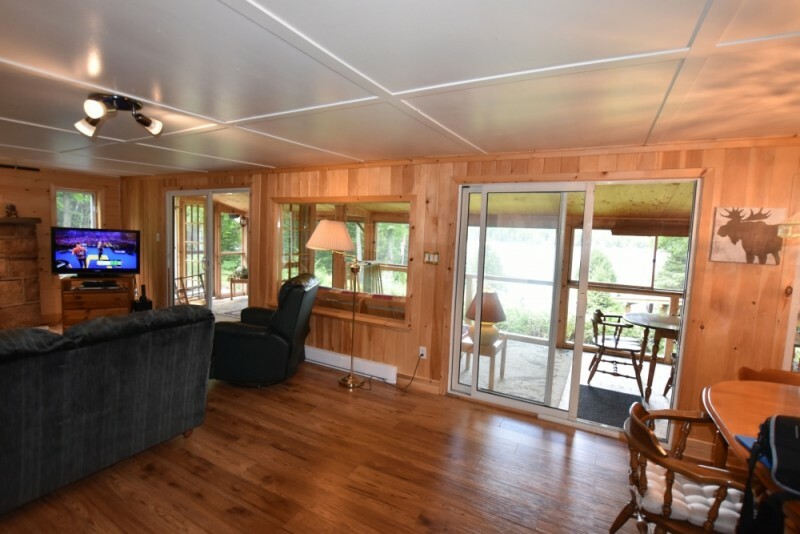 Walkout from the living room into a Muskoka Room to relax and enjoy meals, watching expansive water views and the occasional boat going past. 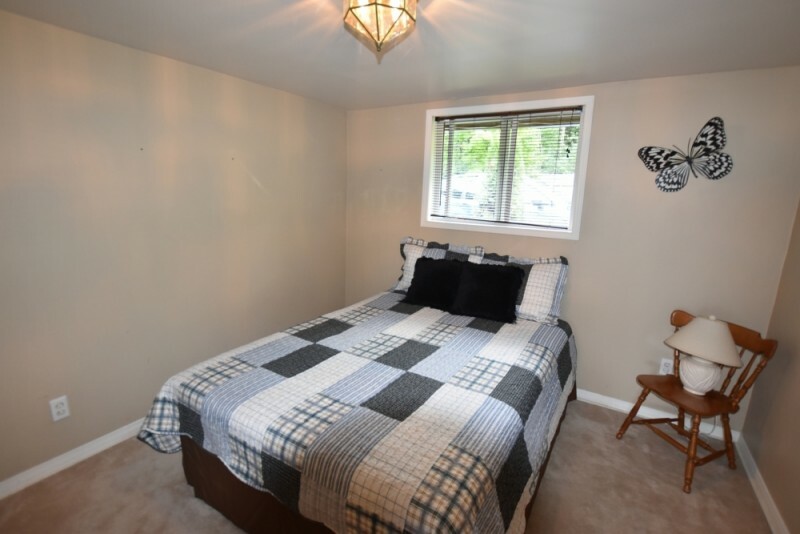 The 3 bedrooms are off the living/dining room with the Master Bedroom containing a luxurious king size bed and 2 other bedrooms with one queen bed and 2 single beds. 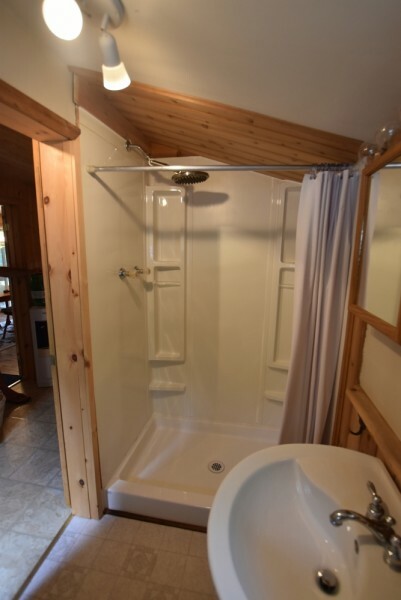 There is also one 3-piece bathroom. 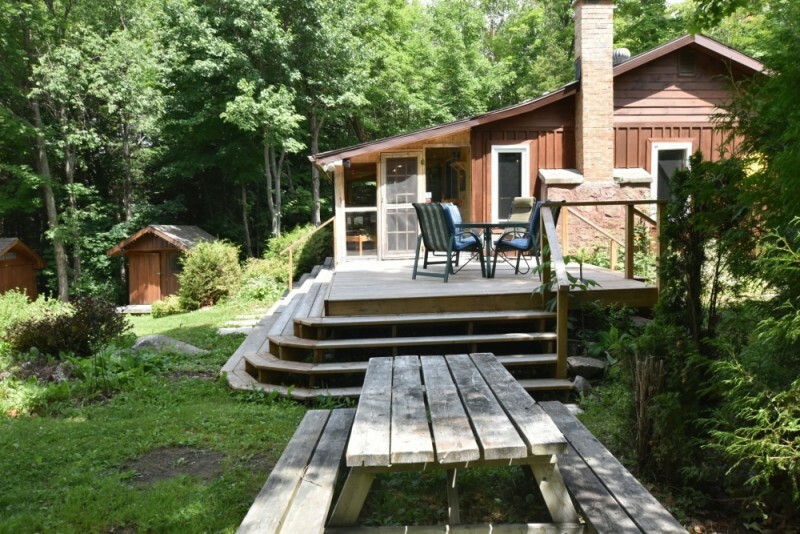 The cottage features a spacious deck outside the Muskoka Room with enough tables and chairs to enjoy the surrounding of beautiful nature. 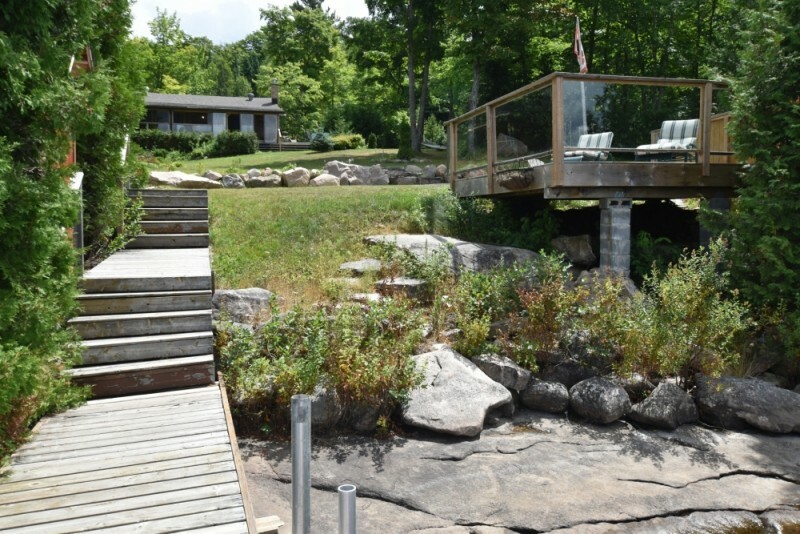 At the shoreline is another deck to watch spectacular sunsets and family and friends splashing in the sparkling waters of Eagle Lake. The shoreline has been left with natural vegetation. 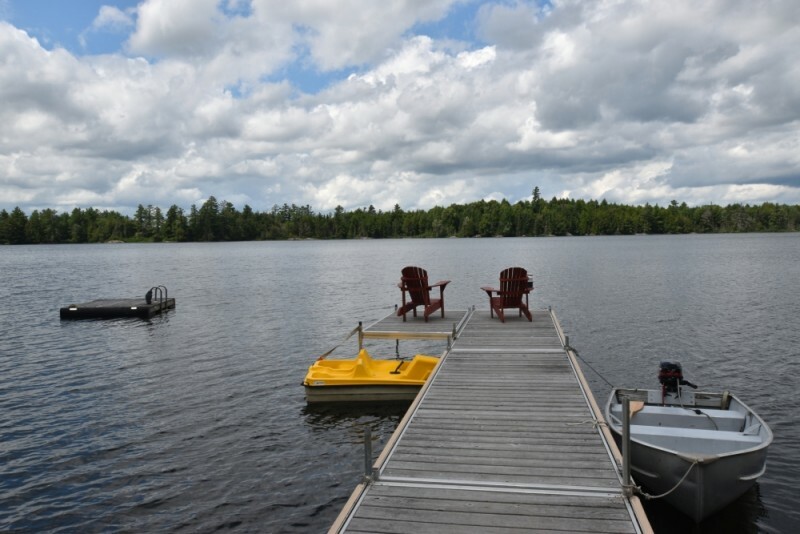 A swim platform is off the shore to have extra space in the waters to enjoy the relaxing splashing sounds of Eagle Lake. The canoe and paddleboat are there for a peaceful paddle as the morning mist arises off the water which is second to none in this wilderness setting. 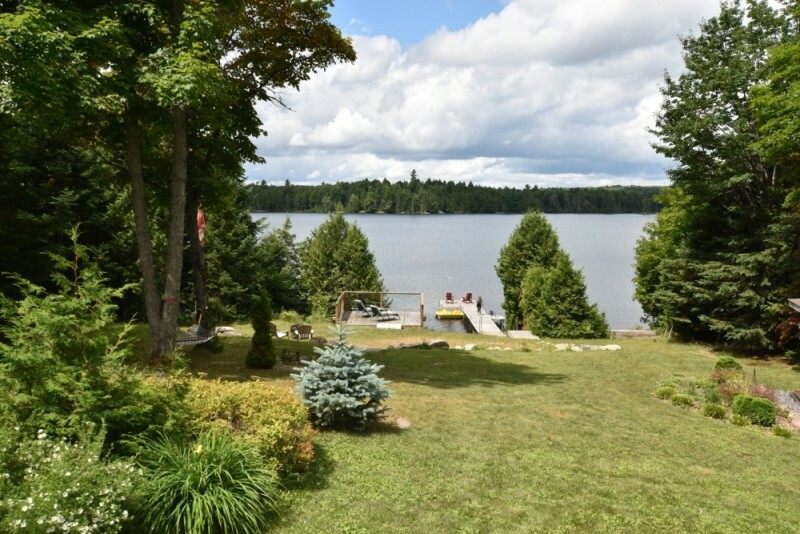 This is to enjoy a stress-free cottage vacation to recharge the batteries and bring back the fresh outlook on life with this quiet cottage experience. 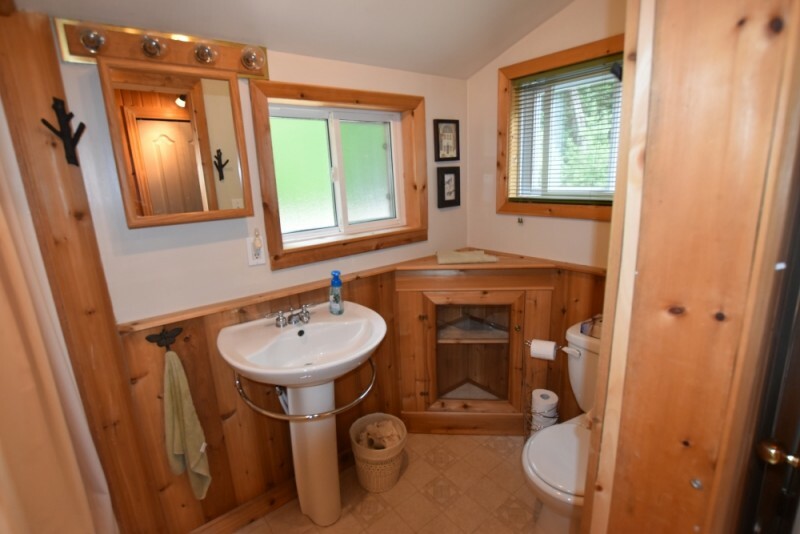 The expansive trail system is perfect for ATV riding throughout the year and snowmobiling in the winter. Everything needed for an enjoyable and fun filled vacation. Huntsville and North Bay are about 40 min. Boat rentals are available at Eagle Lake Marina. 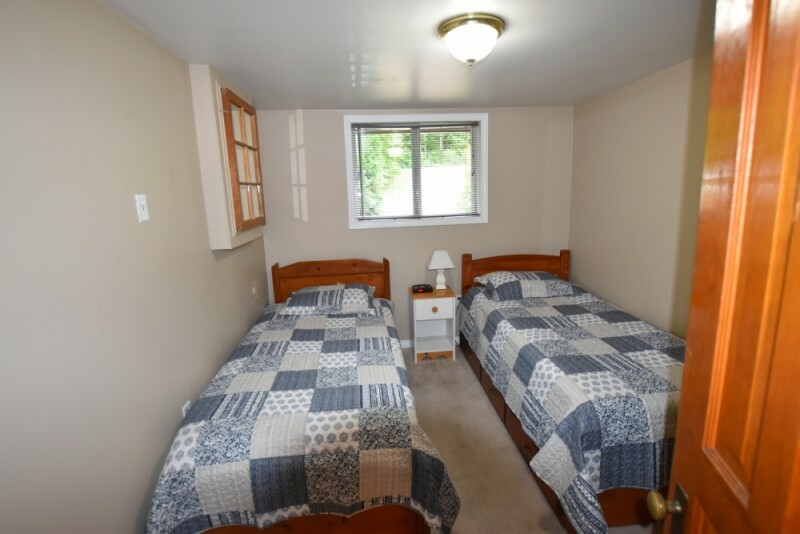 $1,800 per week during high-season (﻿High-Season includes Family Day Week, Victoria Day long weekend, March Break, the last full week of June to Labour Day Monday, Thanksgiving, as well as the week of Christmas and New Year's ). $1,260 per week during off-season. $1,440 per week during winter season. 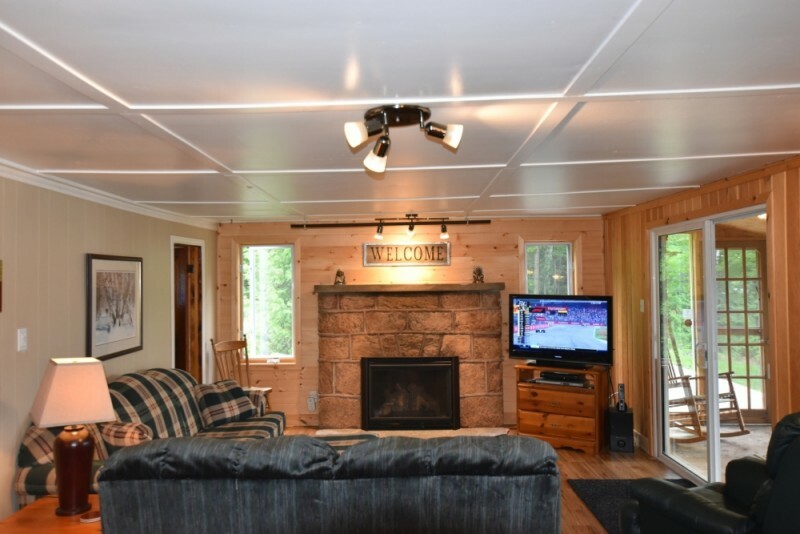 $300 per night for off-season holiday weekends (minimum 3 nights). 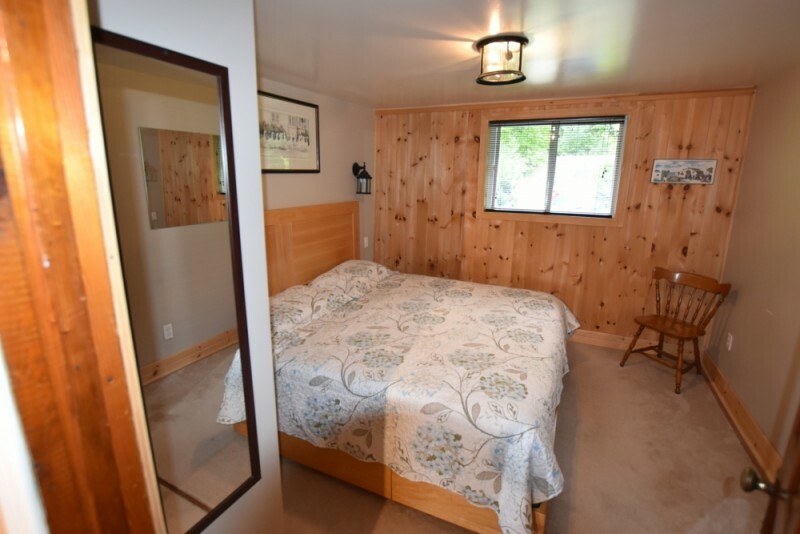 $210 per night in off-season (minimum 3 nights). $240 per night in winter season (minimum 3 nights). $600 refundable security deposit required. For stays 1 week or less: $59 Accidental Damage Insurance required. For stays longer than 1 week: $75 Accidental Damage Insurance required. $95 cleaning fee * Administration fee may be applicable.